This is an absolutely fascinating travel blog written by a retired American grandmother on a four month trip to India. Not only does it explore places off the tourist track, it has great pictures and a feeling for people as well as places. I put up this particular blog as an example of a whole series she has put together on an Indian journey for those who enjoy travel writing. Dada Hari, was the chief attendant of Sultan Muhmud Begada’s royal harem at the turn of the 16 century. 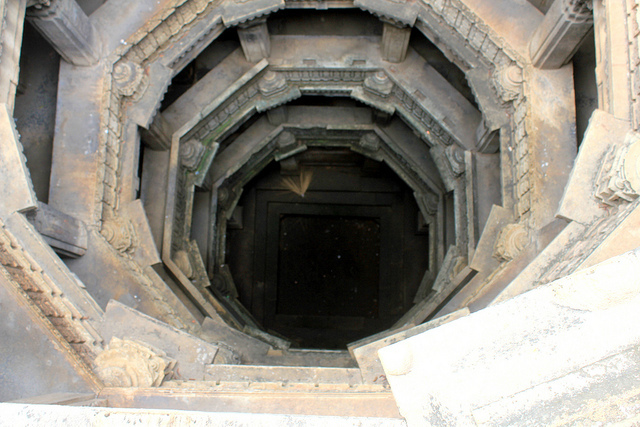 She commissioned the building of this step well as well as a garden, mosque, and her own tomb. The ancient rulers had chosen aristocrats to build their own burial tombs while they were still alive. Dada Hari was a very powerful and influential woman in a time where that was not usual. 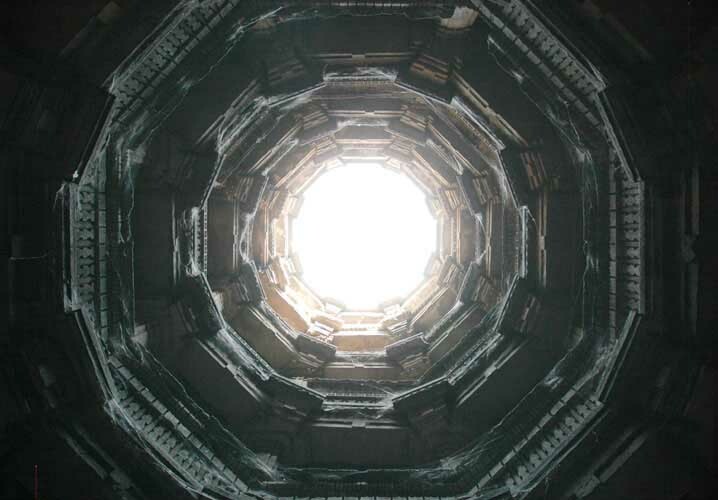 A story goes is that she wanted the step well to be built as a cool, peaceful spot for the women in the area to rest and visit with their friends while collecting water for their families. She was an early feminist helping other women. She created one of the coolest places, literally, for a man or a woman to spend a hot afternoon in Ahmedabad. View down into the nearly dry well. It will be replenished during monsoon. This entry was posted in travel, Uncategorized and tagged ahmedabad, dada hari, historic places, india. Bookmark the permalink. It’s a very interesting piece of reportage in a – the? – leading medium for contemporary travel writing. But: “grandmother” – that’s a bit Fleet Street isn’t it? As for “retired” – the blog shows you don’t retire from living and you can still “do” if you can and want to. no offence meant. She describes herself as a former elementary teacher and a grandmother on her blog. I am proud to be a grandfather even if I don’t mention it. I just think it is great that she is doing this and writing such an interesting blog. I enjoy reading it and think it deserves a wider audience. I certainly don’t think she is offended, she has just sent me a nice comment which is up on my “about me ” site. You’re right, Westengland: women are still defined in press reports by their age, marital status and children. I’ve had arguments on this very principle with reporters from local and national press – male – because no such details are demanded of men in the same context. Mrs Angry: mother of two – no grandchildren, yet – age: beyond the limit approved of by the Daily Mail.